Rent a Porsche Panamera in LA today and experience the ultimate four-door sports car. 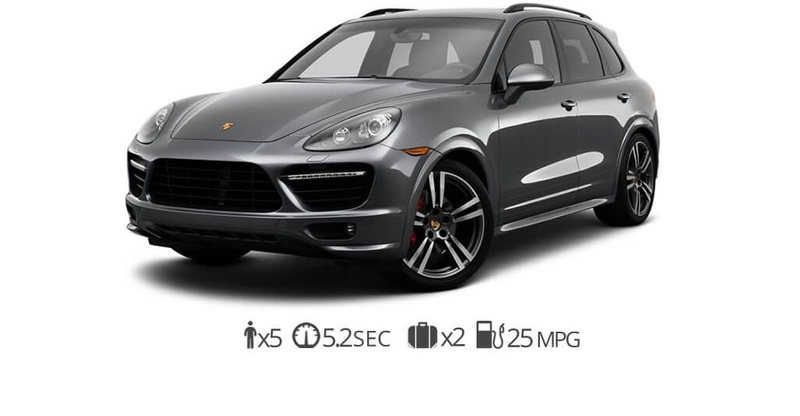 This is a Porsche rental that not only performs but also has plenty of room for your passengers and space for your luggage. You will be blown away by the amount of performance this beautiful luxury car rental produces. It also has one of the most sporty designs of any luxury sedan for hire in Beverly Hills. Wherever your journey might take you, a Porsche Panamera rental is a great option for business or pleasure, or even just taking a drive around Rodeo Drive. The combination of luxury features, sports car performance, and handling make this a highly requested vehicle. Under the hood is a 4.0-liter twin-turbo V-8 that delivers 440 hp and 406 lb-ft feet of torque. Paired with a new eight-speed PDK transmission the Panamera outperforms most sedans in its class. This powerful combination allows the Porsche Panamera Turbo to go from 0-60 in just 3 seconds. Equipped with 4D chassis control the suspension is a combination of air springs, electronic shocks, rear steering control, active anti-roll systems, and torque vectoring. In order to provide the ultimate ride, the vehicle analyzes the road conditions and driving style to provide the ultimate performance comfort and agility. When you step into the Porsche Panamera the cabin is just as beautiful as the exterior. It has a contemporary feel with sharp lines and quality finishes throughout the cabin. The four sports style bucket seats hug the driver and passengers and add to the sports car feel. In the rear the elevated center console allows passengers to control rear temperature and media options. Taller passengers will find plenty of room to stretch there legs and also ample headroom. The rear seats can also be lowered in order to provide more space for luggage. This is one of the most beautiful exotic car rentals in Beverly Hills. Experience the thrill of driving the latest luxury sedan to be released by Porsche. You can rent a Porsche Panamera in LA for around $390 per day. The daily rate includes 100 free miles. If you exceed the total miles included then you will be charged $1 per additional mile. We offer special discounted rates for long-term Porsche Panamera rentals in LA. We can deliver this sporty sedan for free to (LAX) Los Angeles International Airport or any part of Beverly Hills. We can also deliver outside of Beverly Hills such as in Malibu, Beverly Park, Redondo Beach, Manhattan Beach, Hidden Hills, Rolling Hills, Bel-Air Estates, Upper Laurel Canyon, Palos Verdes Estates, West Hollywood, and Brentwood Park. Call us today for actual Porsche rental prices and availability.